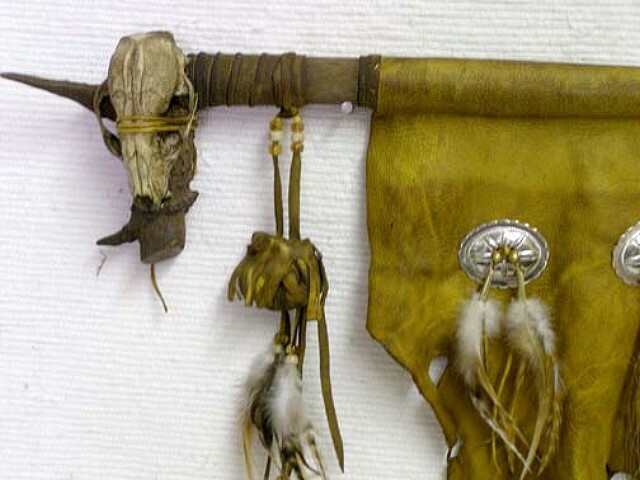 This is the Navajo made CEREMONIAL SKULL PIPE which features a small animal skull tied onto the deer or elk antler bowl which is totally smokeable. 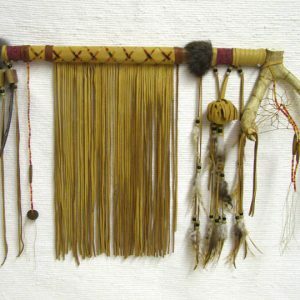 The pictures are representative of the pipe you will receive as each one is different & unique. 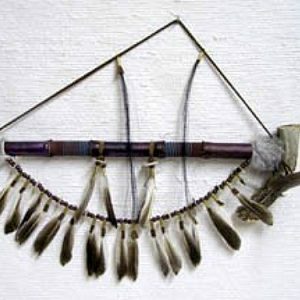 The pipe pictured here uses a raccoon skull. 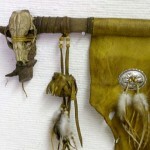 Some will have a badger skull, or perhaps an opossum or other comparable small animal skull, depending on availability. 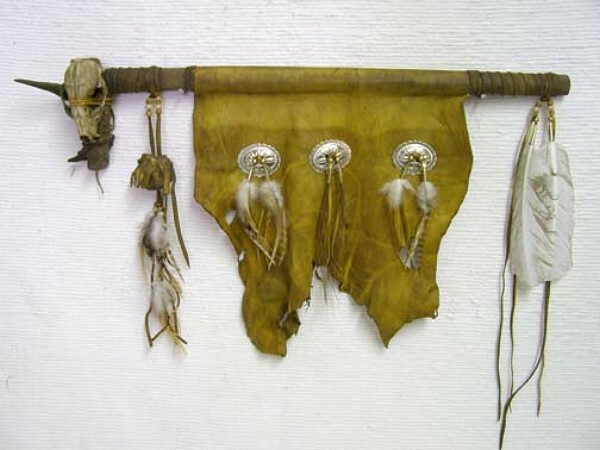 The pipe stem is covered with buckskin which is antiqued by hand to give it that age old look. 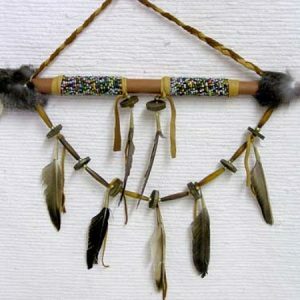 It is decorated with conchos, glass crow beads, feathers, horse hair & a medicine bundle tied near the bowl. 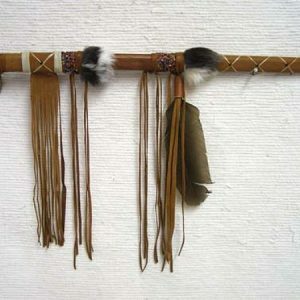 Each unique pipe is a masterpiece that would be a valuable asset to any Native American collection !